The rotation of new fast food items seems to go in cycles. For months at a time (or if you are Burger King), new items are coming out all the time. Then, you go into dormant stages and release items once every quarter. Wendy’s seems to fall somewhere in the middle. New items come and go and honestly, I pretty much look past them all. 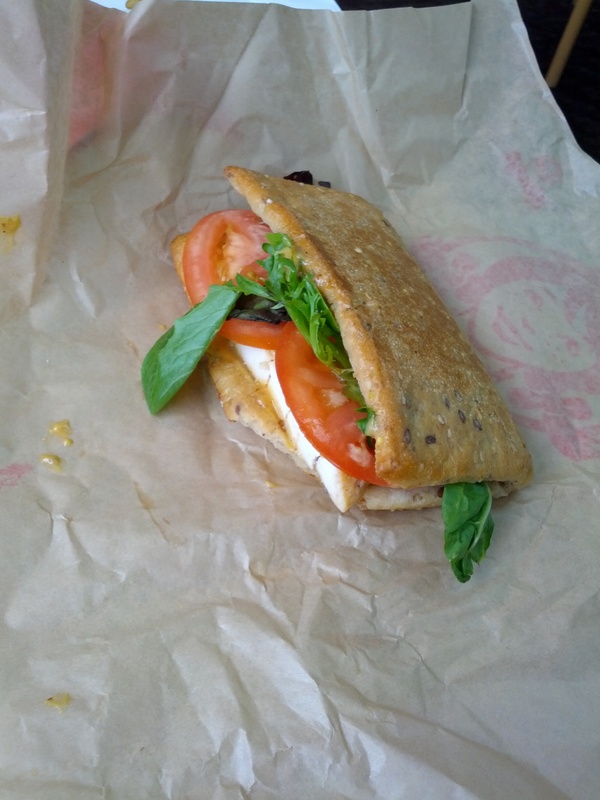 When Wendy’s announced the Grilled Chicken Flatbread, and after I read multiple positive reviews, I knew I wanted to try it. A few weeks back, I finally got the chance to. And let me just say, wow…it was good. After a long day of Jeep riding, we arrived at Wendy’s at about 1:30pm. I ordered the Honey Mustard Grilled Chicken Flatbread. 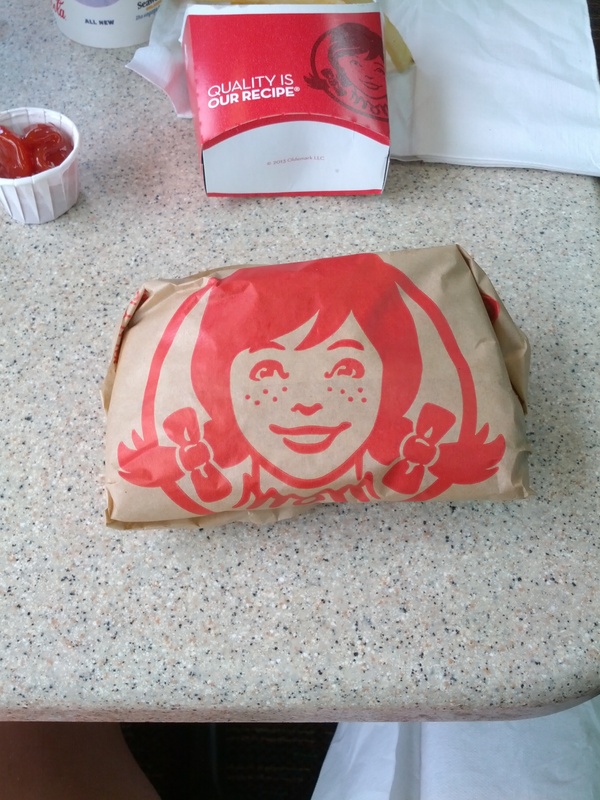 The item arrived wrapped in a package with the symbolic new Wendy on it. I could feel the heat coming out of the package and I anxiously unwrapped it. The Flatbread is certainly much smaller than I was expecting. But, this was okay with me as I don’t like it eat a big dinner. If this was my main course, I would have needed more food with it. The flatbread itself looked awesome and I could see the lettuce and fillings peeking out. My first bite was a mix of all of the ingredients – nothing was missing. The flatbread was great. A perfect combination of sweet, chewy, multi-grainy goodness filled my mouth as I chewed. It was perfectly warm and simply delicious. Even with no toppings, this thing would be rocking. The lettuce was a variety of different lettuce types, all of which were quite good. I appreciated the fact that higher quality lettuce was used…and the flavors of the variety did indeed shine through. I found the tomato slice to be perhaps a bit on the thick side but, tasty and fresh all the same. 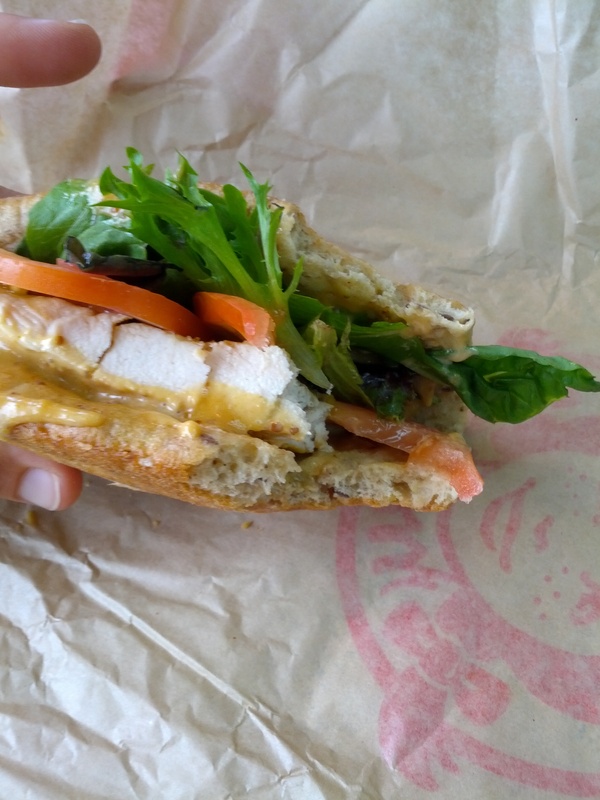 As for the grilled chicken, it was the normal Wendy’s grilled chicken. It was warm and had a slightly grilled flavor to it. Plus, it was not salty at all. The honey mustard sauce was there but, I did not feel as if the flavors really stood out. It brought it all together but was not the main star. Overall, I really enjoyed this flatbread. By far, the flatbread itself is the winner. Wendy’s did a great job of selecting good, quality ingredients and mixing them all together. I would certainly order this item again however, I do not think I will be trying the other variety. The Honey Mustard Grilled Chicken Flatbread is a winner in my book of Easy & Hot & Sweet (anyone know the origin of that?). Hats off to Wendy’s for releasing a good, quality promo item to their menu board. And, if you haven’t tried it yet, please do.